(1) External Consultant, World Organisation for Animal Health (OIE). (2) Consultant, Regional Representation for Africa, World Organisation for Animal Health (OIE). (3) Veterinary Epidemiologist, Agricultural Research Centre for International Development (CIRAD), Montpellier, France. 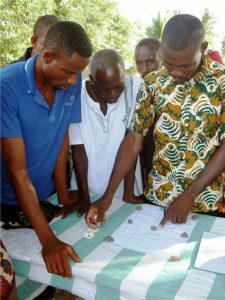 Under the third component of the VSPA project, a pilot strategy was adopted during the period 2013–2014 to determine how to most effectively combat peste des petits ruminants (PPR) in Burkina Faso and Ghana. The objective was to assess different vaccination strategies in these two West African countries and to use the lessons learnt to enrich and help to define regional and international programmes on a larger scale targeting the progressive reduction and control of PPR. free PPR vaccine, plus a partial contribution to the operational costs, and the free distribution of anthelmintics. 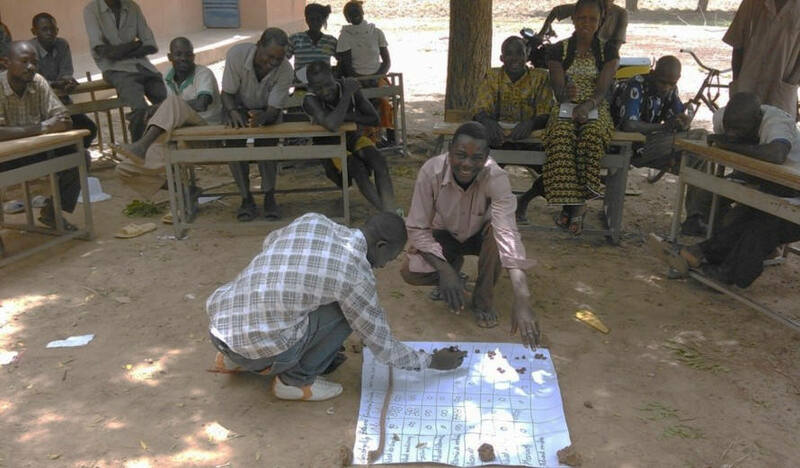 Specific activities were undertaken, such as pre-vaccination participatory disease searching (PDS) surveys to select the study areas and training in participatory epidemiology and sociological research techniques. A total of 4 million animals were vaccinated using vaccines delivered through the PPR Vaccine Bank. In Burkina Faso, 1,310,000 animals were vaccinated under scenario 2, 1,700,000 animals under scenario 3, and 190,000 animals under scenario 4. In Ghana, 300,000 animals were vaccinated under scenario 2, 400,000 animals under scenario 3, and 100,000 animals under scenario 4. Post-vaccination surveys were conducted to assess the differences between the different vaccination scenarios in terms of seroprevalence rates, PPR clinical incidence rates and small ruminant productivity (these values were used to carry out cost-benefit analyses of the different vaccination strategies). In particular, sociological surveys made it possible to assess farmers’ and vaccinators’ perceptions of vaccination and vaccine delivery. 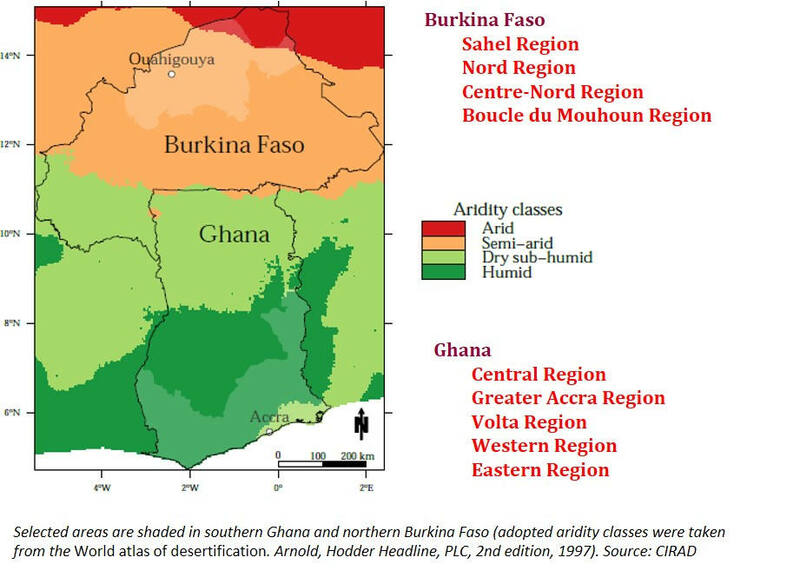 The results in both Burkina Faso and Ghana showed that the post-vaccination reduction in PPR clinical incidence was strong as a whole and highly significant (with an exception for vaccination scenario 3 in some districts of Burkina Faso, which was particularly due to the fact that the PPR vaccination campaign was implemented during the hot and dry season). 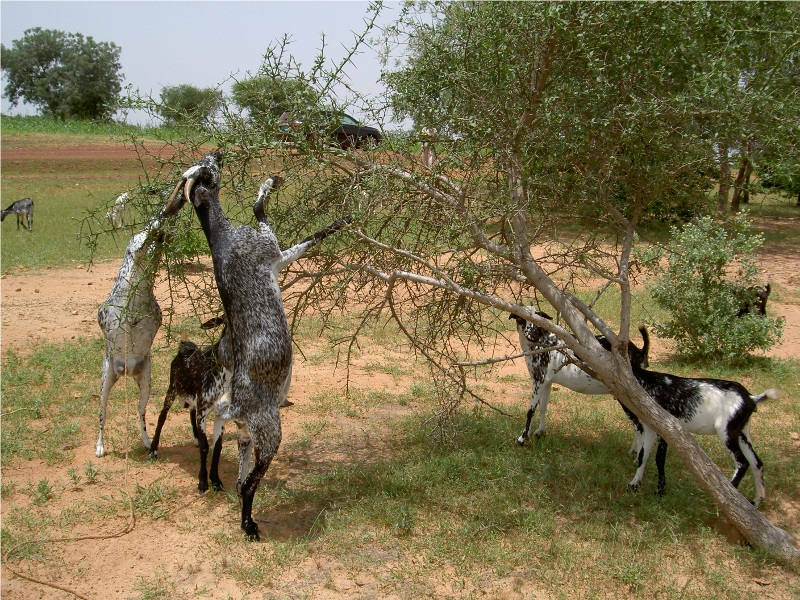 No difference in post-vaccination reduction in PPR clinical incidence was observed between the private and the public vaccination system or between pastoral and agro-pastoral livestock production systems in Burkina Faso. Vaccination protocol 3 provided the best results overall in both countries. Regarding immunity coverage, the general conclusion is that, with the exception of protocol 2 in Ghana, all the vaccine protocols produced protective immunity against PPR virus in vaccinated animals in both countries (80–95% of post-vaccination serological results were positive). Cost-benefit analysis revealed that PPR vaccination was highly profitable from the point of view of vaccinators and producers, regardless of the vaccination protocol, and that vaccination strategies with financial support (which represents an incentive for farmers) would be more viable in the medium and long terms, and probably more appropriate to achieve PPR eradication. c) official identification should be provided for the vaccination teams so that farmers can easily identify the teams involved. Inadequate logistics was highlighted as a major issue by the vaccinators using the three different protocols in both countries. For the most part, the amount that the breeders contributed to the vaccination costs was not considered to be a major issue by the farmers or the vaccinators. However, a farmers’ lack of ability to pay his dues at the time of vaccination is often an issue and this is directly linked to the organisation of the campaign (the vaccination period, organisation and information given to herders). Regarding the lessons learnt from this pilot strategy, the key factors for vaccination success or failure were identified. 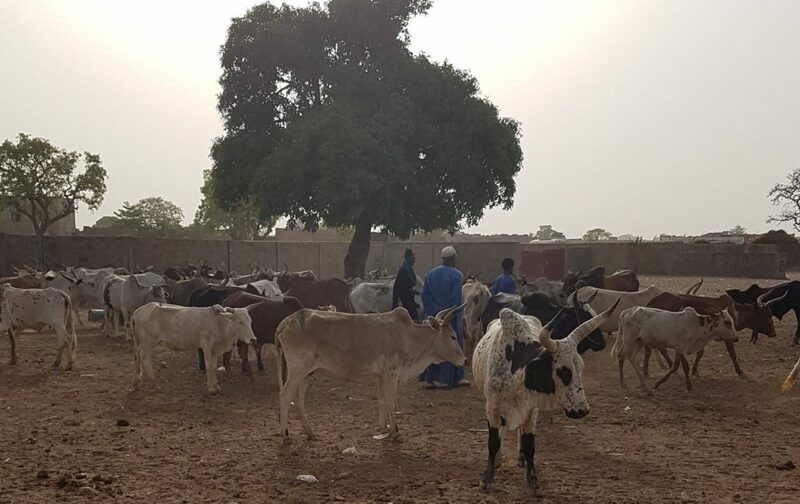 They are numerous and include the existence of good relations (trust) between livestock owners and veterinary staff, and the important role of community representatives, especially those from crop associations in humid zones, which are not particularly interested in livestock. Other key factors are the duration of the vaccination campaign and the period of vaccination. The logistics elements (transport, cold chain, vaccine availability and packaging – e.g. 20–25 doses per vial for village smallholders) are always decisive factors. Communication and awareness-raising are key. They should combine the use of official communication channels, along with other possible channels, such as griots (public criers), mosques, radio, leaflets, markets, etc., as well as farmers’ representatives and leaders, particularly among Fulani herders in extensive farming areas, and they should take vernacular names into account. Combining PPR vaccination with other control activities and other types of initiatives (e.g. other types of vaccination, including combined vaccines, screening campaigns, deworming, livestock extension, etc.) offers a good opportunity to improve vaccination rates. In addition to all these determining factors, the role of Veterinary Services remains indispensable and all possible options for delivering animal health services should be considered, under strict control and monitoring by the official veterinary authorities. Although the VSPA project’s pilot strategy component has been effectively implemented, it was not feasible to expect the immediate eradication of PPR in the pilot areas after the vaccination campaigns, carried out within the programme’s limited timeframe (two years only). Several years of implementing a well-designed vaccination strategy are required before robust control or eradication of PPR can be achieved. The expected results of component 3 of the VSPA project were achieved and the important factors for the success of PPR control and eradication programmes were identified. Global eradication of the disease is a long-term objective but can be obtained on the national level and in some regions. PPR eradication can also be used to drive other small ruminant disease control programmes. The conclusions of the pilot strategy represented a major contribution to the preparation of the FAO/OIE Global Strategy for the Control and Eradication of PPR, which was presented and adopted at the OIE/FAO International Conference for the Control and Eradication of PPR in Abidjan, Côte d’Ivoire.